Fun in the classroom, fun outside! A different family experience in Picos de Europa. W e love learning languages and we want you to love it too. 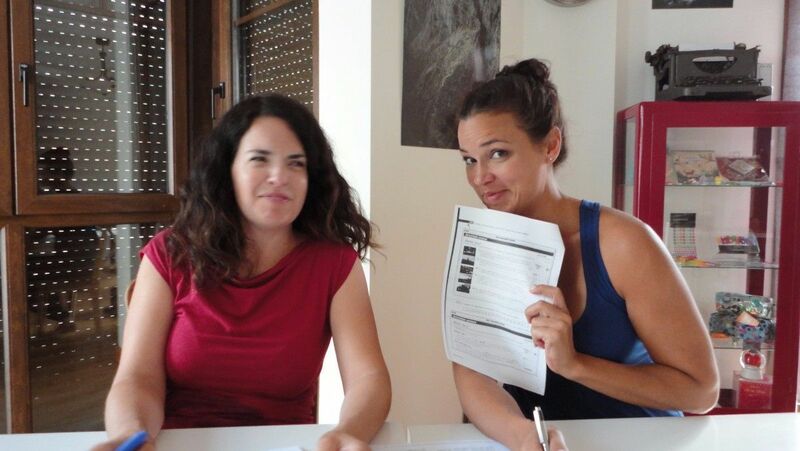 Our Spanish language school and courses differ from the norm. Our school is a mix of classrooms and mountains, both being as important as each other. 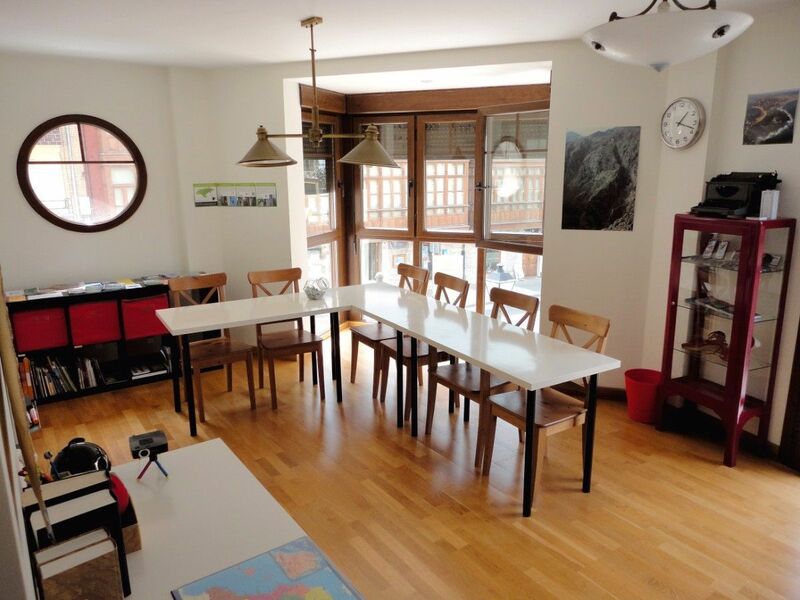 Located in the middle of a small village at the gateway to the Picos de Europa, we want your Spanish course to allow you to use the language in real situations. 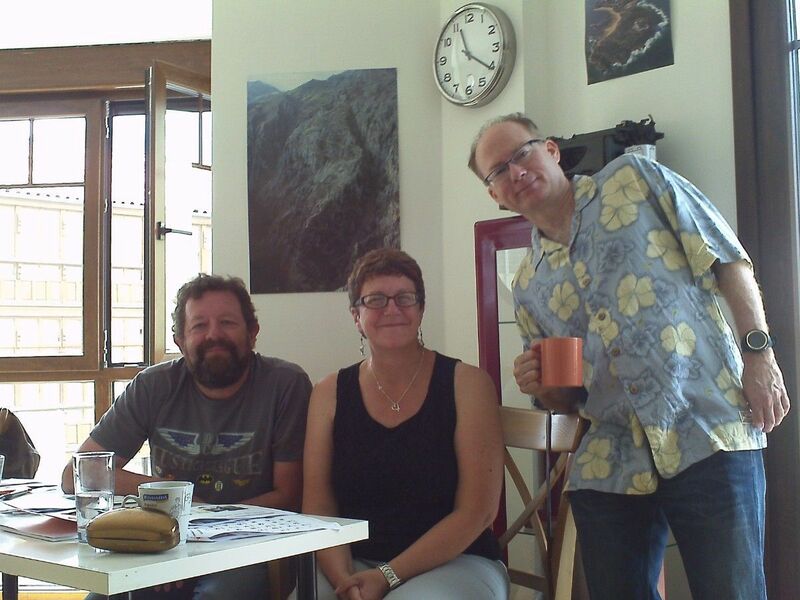 In the mornings the Spanish course is in our small school (it has to be done, and we make it fun). 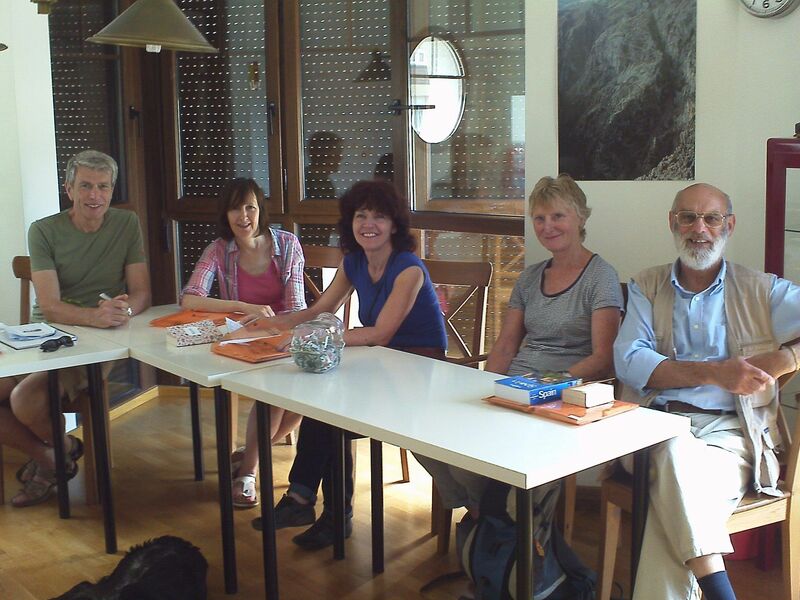 In the afternoon we go to the Picos de Europa National Park, walking and talking in Spanish. It’s really relaxed and a great way to get everybody using the Spanish language as there are so many things to see and discuss. The awesome Picos de Europa are part of our language course and part of our school. T he quality of your experience is paramount to us. 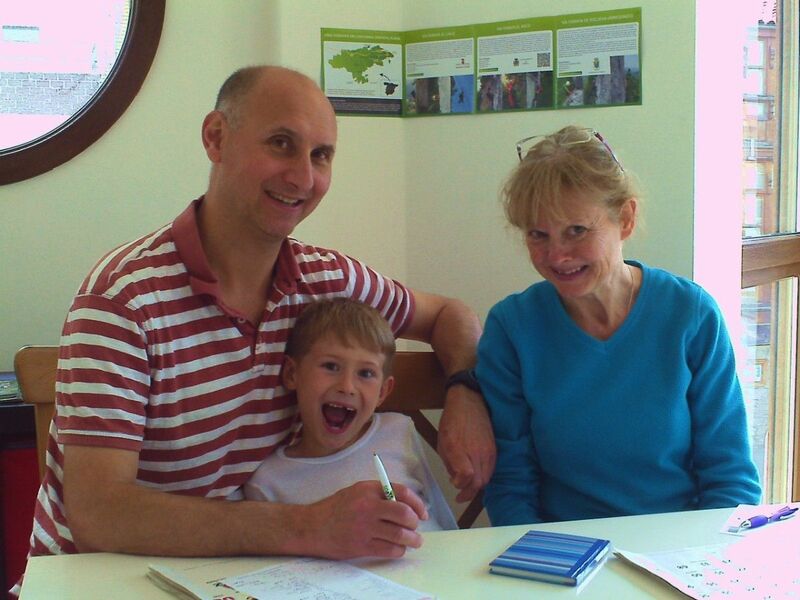 Our teachers are native, experienced and highly qualified… as well as good fun! And we don’t ask you to sit an exam at the end, unless you want to. W e recommend 1 to 4 immersion weeks, but if you feel up to it, we’ll cater for more too. Nothing makes us happier than a happy student! We used our Spanish lots over the three weeks we spent in Spain after we left you guys and it made our holidays even better. We hope to visit again some time. Many thanks for a most enjoyable and rewarding week of Spanish and walks. 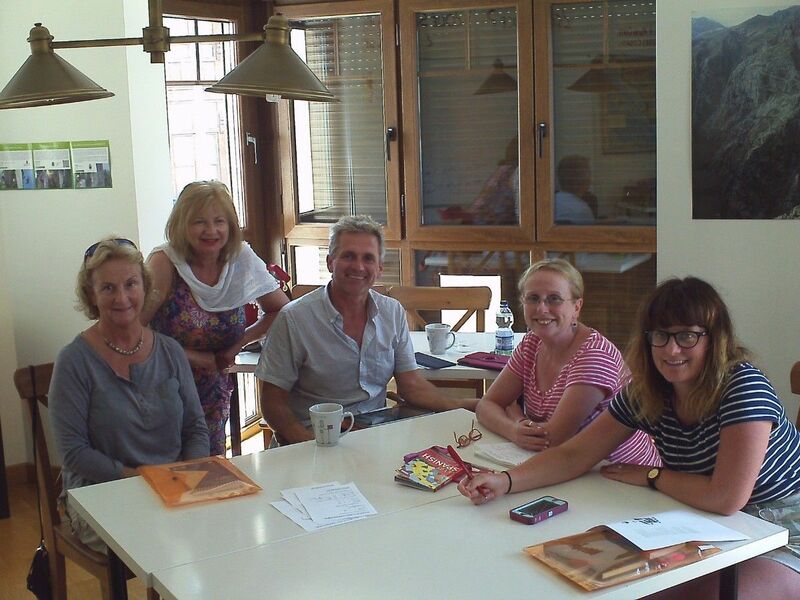 The Spanish lessons were impressive and I learnt a lot, especially what I did not know! Many many thanks for a fantastic week with you in Panes. We thoroughly enjoyed ourselves and were super impressed by the language school and the activities. I shall certainly be speaking to my friends of my wonderful holiday in Panes and hope I will stay fit enough to be able to come back in future years with my younger daughter and grandchildren. Everyone we met made us feel very welcome and we have come home with great memories. 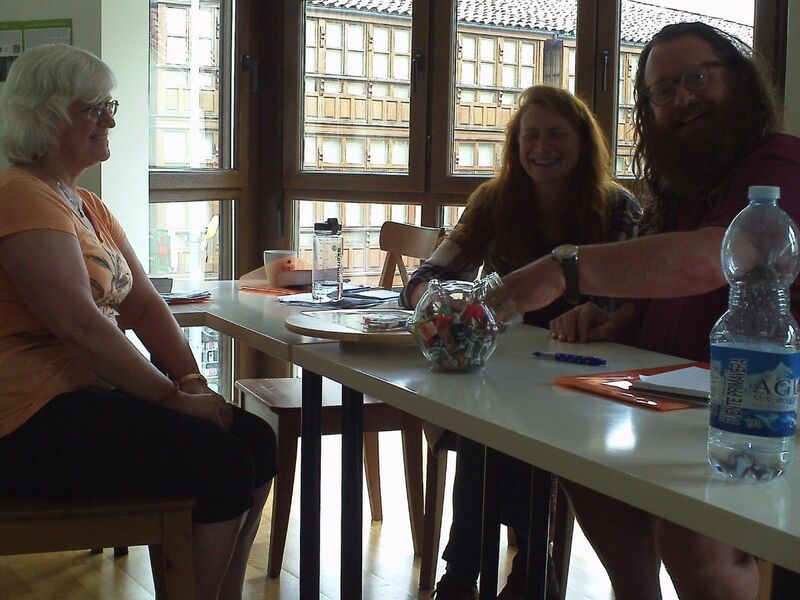 ​Our course for beginners was well tailored to all abilities, with lots of oral practice reinforced by short videos and games. Despite the light-hearted approach, we made surprisingly fast progress thanks to the energy and professionalism of our teachers. By the end of the week we had covered all elementary topics necessary for getting around on our own. 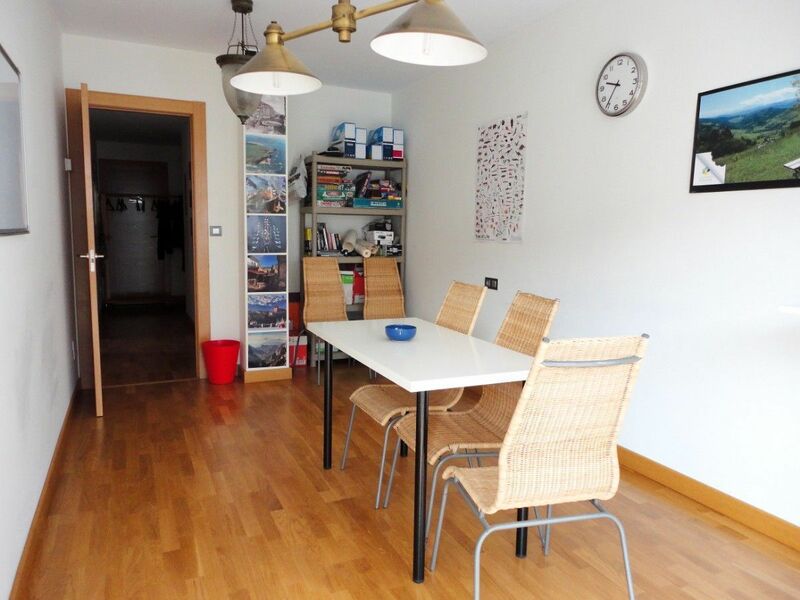 Panes is an ideal place for practising your Spanish since very few people speak (or wish to speak) English. After a leisurely lunch the afternoon's physical activity was a great way to complement the morning's mental effort - stunning scenery and a lovely guide with more Spanish for us. Finally, the comfortable small family hotel close to the school is run by a charming couple who couldn't be more hospitable. We would without hesitation recommend this holiday. I had a most enjoyable week, nice change of scenery, I hope the Spanish has improved a bit, always good to get some practice, revise and pick up a few tips. Yolanda was wonderful as a teacher and walk guide, she was attentive to everyone's needs. Wonderful country for walking, so different to Australia. For me it worked very well. The teaching was very well organised and varied in style. The lessons had a good pace and were always fun, each of the three excellent teachers tackling different aspects of our learning and practice. We gained an impressive vocabulary in the five days and became reasonably adept at composing short sentences and participating in simple conversations. It was always fun and there was plenty of laughter and joking. The walks in the late afternoon/early evening were also very enjoyable, if a little challenging at times, but our guide was skilled at making sure that all members of the group were comfortable and coping. The four walks were very varied in their scope and character and all of them yielded spectacular views of mountains, coast and countryside. In addition the acquisition of Spanish continued in a light-hearted way as we expanded our vocabulary with names of flora and fauna and learned some of the interesting history of the area. All in all it was a most enjoyable week and I highly recommend it. Anna (15): There were lots of different things & games we did in lessons... More biscuits! Ben (13): Great environment, amazing walks. Everyone was very nice... but more biscuits required! Kate (mum):: Time flew by. At no time was I bored. In fact, I was disappointed when the morning lessons were over. Olivia (13): ¡Muy divertido! ¡Súper! Maude (20): We learned a lot of practical things. It was good we played games and the teachers were nice and very helpful. The Picos de Europa are beautiful! ¡Muy divertido! ¡Gracias! Alicia (mum): The instructions were very good. The materials used, the content, and the variety of structure and games, all were very good. The hikes in the mountains were especially wonderful since we didn't see many tourists. Along the Cares [river] is absolutely beautiful! Wonderful to see! Excellent value. The mixture of language learning and physical activity is a great idea and worked well for me. 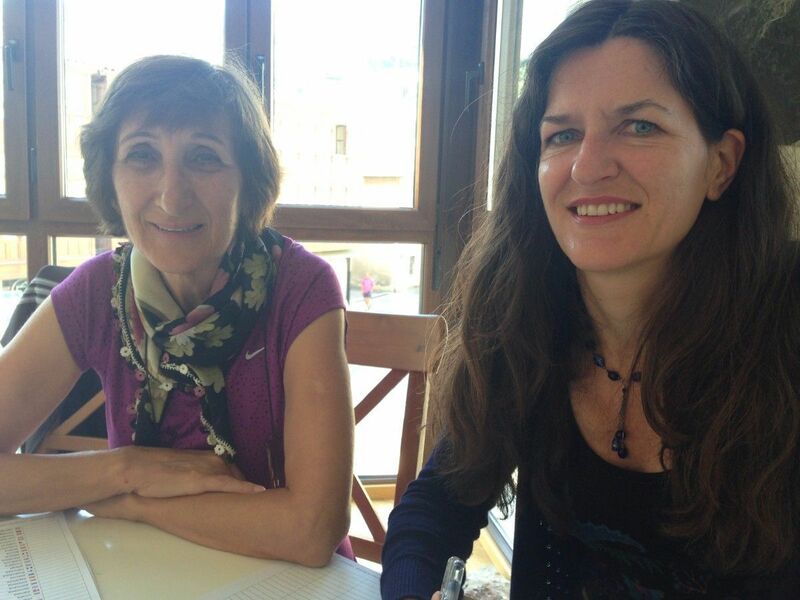 The language teaching was professional, thorough, well-prepared and with a good mixture. The walks were great... Beautiful countryside. Fantastic teachers. The games & lessons plans kept things interesting. The time flew by... The scenery in Los Picos is stunning and I enjoyed the walks. A great concept which supports the local businesses and community, and provides an opportunity for people to have an enjoyable week. I love Panes! The teachers are excellent. I was pleased to be challenged but treated with kindness. The days were very busy jam-packed. No boredom at all. I've really enjoyed my holiday and I'm keen to keep up my Spanish. Brilliant idea for a school, brilliant teachers, beautiful countryside, great company. Planning. Sensitivity. Awareness of time & goals but flexible. Excellent knowledge of the area. Accessibility of all needed in village. Feel very well cared for on all aspects (even the most minor). I enjoyed the informal, friendly atmosphere. 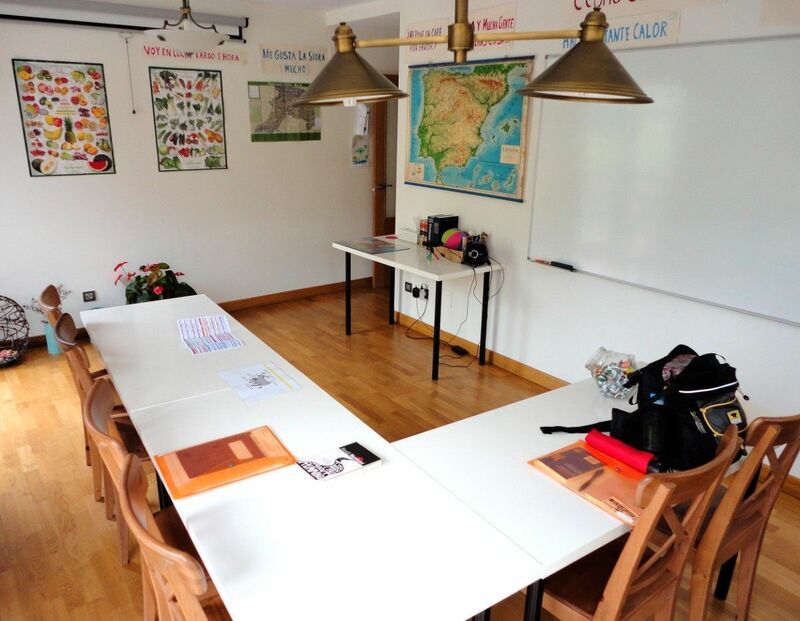 The classrooms are comfortable + well-equipped and the lessons were well-prepared. The walking part of the course was fantastic: a real complement to the class and a chance to practise with an amazing guide! Thank you so much for a really great week. You were very patient with us! It has encouraged me to look for a course this Autumn and to come again to Panes when I have learned a little more. The style of teaching is fabulous. The games really help. I thought at first when you only spoke Spanish I would never learn but it really works. From the hotel to class to hiking, this has been the best part of my holiday. I think you have a wonderful concept and I would recommend this to anyone. Las clases de español son excelente. Me gusta mucho los métodos diferentes: el vídeo, los juegos, leyendo, escuchando. Tenemos que pensar y hablar en español. ¡Es divertido! ¡Es excepcional! Clarity, pace, attention to the needs of each person. The room is good for teaching and facilities excellent. Very friendly and helpful staff. The classes were fun and at a suitable level. It was great to have the small classes. The different walkers were accommodated well and the walks were spectacular. A great experience. I’m happy I did it. 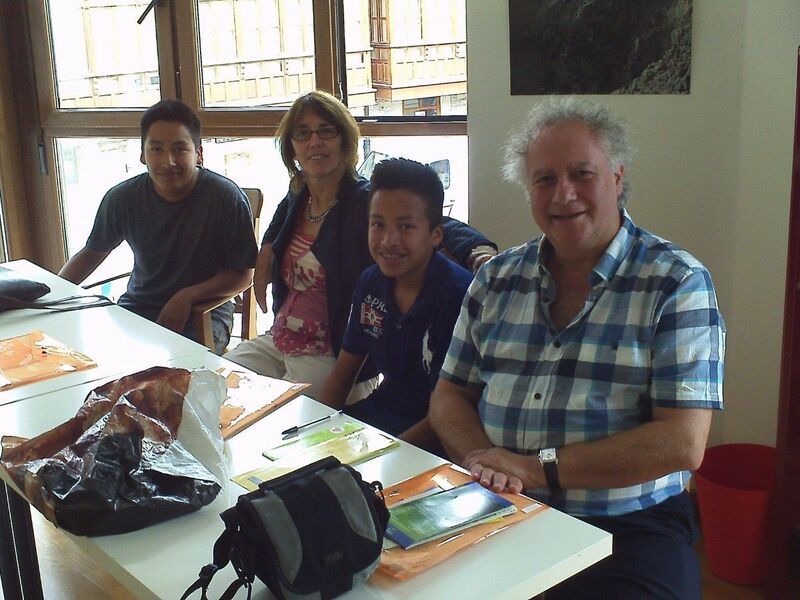 Great guides… great teachers… And the family I stayed with were super nice. Obviously a lot of thought put into content & method. Very refreshing activities to keep students focused. At no time felt bored or uninterested. Wish had another week. Congratulations! There is so much to see and do, whether you’re the sporting enthusiast or want to brush up on your Spanish (or both! ), get to the Picos de Europa and have a jolly good time!! 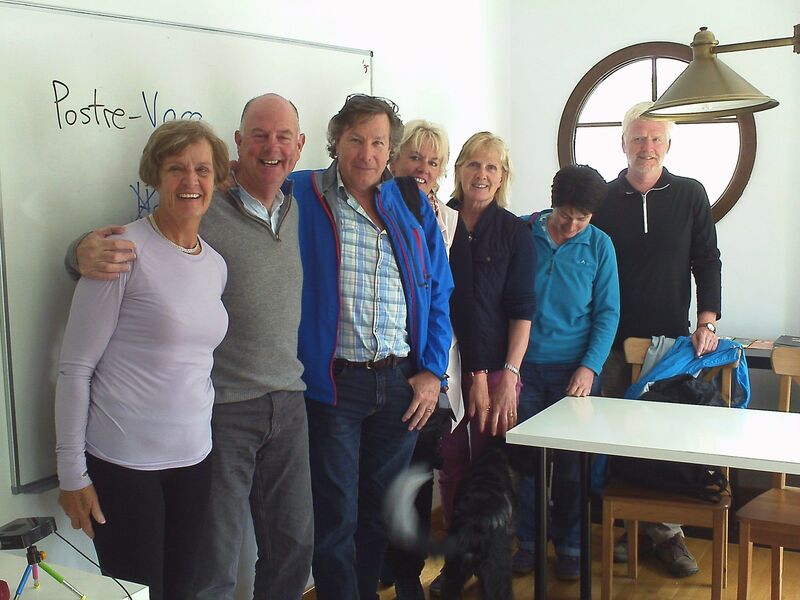 Peak Me provided a perfect combination of learning Spanish, exploring the friendly village of Panes and walking in the beautiful surrounding Picos. 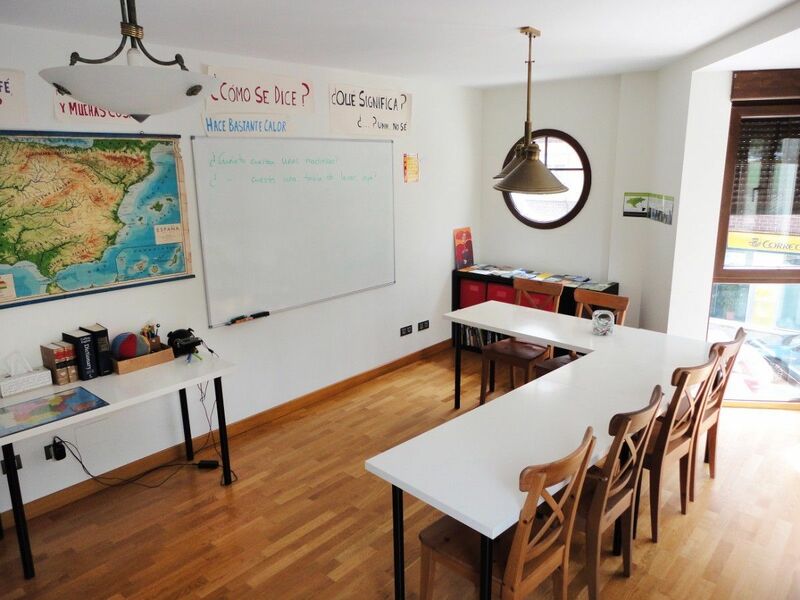 The whole week was exceptionally well organised and the Spanish lessons meticulously planned, full of variety and taught with skill, patience and humour. Just to let you know that I put my Spanish to good use last night. Went to see the 'Barber of Sevilla' in Bilbao last night. It was sung in Italian but there were surtitles in Spanish projected on to the top of the stage. My vocabulary coped with most of the plot, there were one or two scenes were I had to fill in the missing words from the action on stage. We’ll drive you to and from the school to the walks and other activities. If your dog is sociable and well-behaved, it is welcome in our school and you can also take it on the walks. There are some accommodation options to stay with your dog in the area too. Please let us know if you intend to come with your dog when you book, so we can discuss how to ensure your dog also has a good holiday! © 2016 Peak Me Languages School | Panes, Asturias. All Rights Reserved.